I'm still new at this, so the photo quality is not great and I'm not comfortable enough to leave the confines of my own home for photos, but I promise to work on both of those things so that perhaps in due time my photos will be a little bit more interesting. 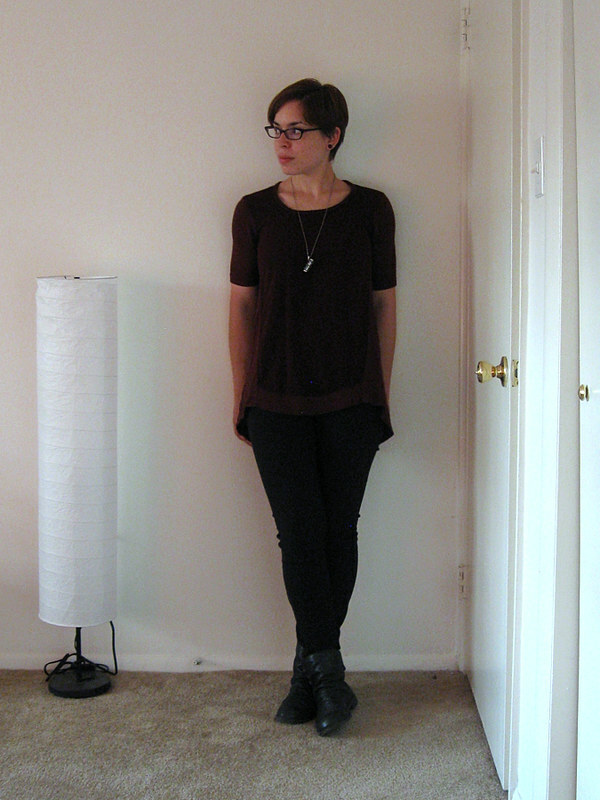 In the meantime though, here's a taste of what I wore to work recently. 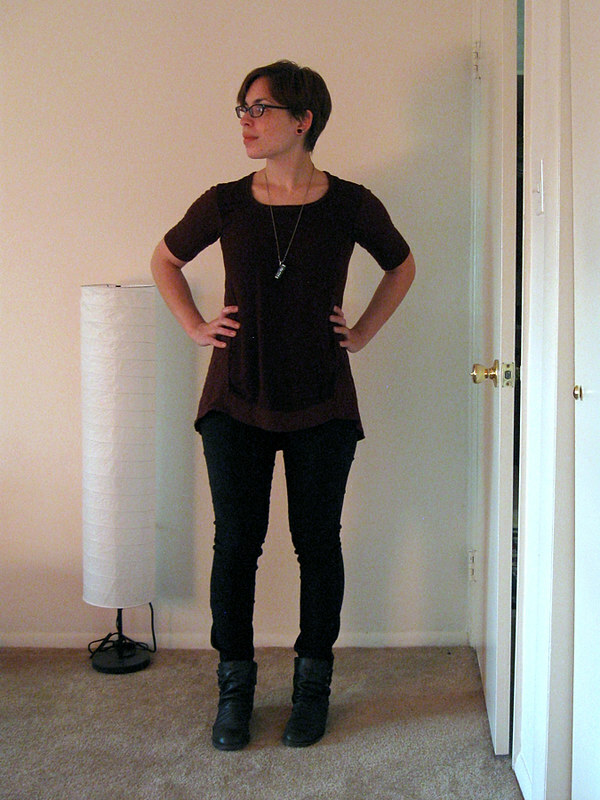 The tunic is a recent purchase from Anthropologie. I liked it so much I actually bought it in the dark grey color as well. (The one in the picture is wine colored, but you can't really tell with the lighting....) Anthropologie has quite a few lounge-style pieces currently that I'm really diggin', (like this, this, this, and this) but I'm trying not to spend my entire paycheck there since that would defeat the purpose of working there to begin with... but I can still look, right?